Why is there some many of these strange coffees and lattes? Caramel Coolers, Nothern Lite Lattes, Turtle Mocha, and Banana Pie Cream Monkey Spice… I perosnally do like them they make me feel all warm and fuzzy.. Does a turtle really fit inside a cup? can you really heat up the already warm Northern Lites? it pure genuis they can make these taste good…. 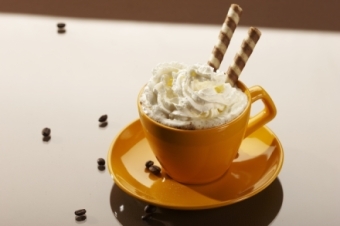 What are some other fun names of coffee treats you can dream up? Next articleBehold! I Give You: The Circus Peanut Post! Pick One To Use For The Rest Of Your Life: Pen Or Pencil? What’s Something You’ve Always Wanted To Do?